Residential and commercial smart glass worth approximately 15 billion USD will be sold by the end of 2028. 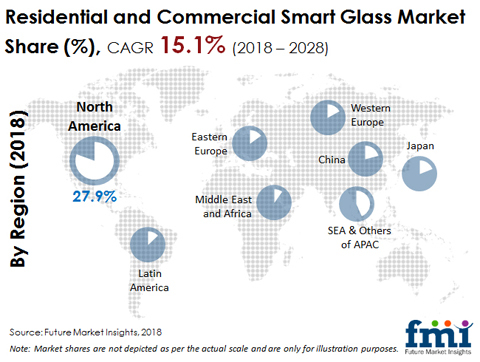 Up from the market value attained in 2018, the global sales of residential and commercial smart glass are estimated to observe a substantial CAGR of over 15 percent from 2018 through to 2028. 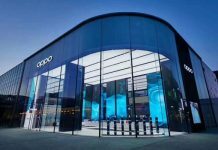 According to a new market study, the demand for residential and commercial smart glass will remain at a constant high over the coming years. The global residential and commercial smart glass market is currently receiving strong demand from the commercial sector. However, it is more likely that the demand for smart glass will gather momentum in the residential sector in the near future. The report attributes this demand growth to increasing initial interest of buyers in residential and commercial smart glass, particularly for bungalows and luxury apartments. Various initiatives for the clean technology and mostly related to energy conservation and sustainable use of energy is driving the customers to use different products which would serve the purpose. Also, these initiatives are compelling manufacturers of residential and commercial smart glass to invest heavily in the development of versatile products compatible for efficient energy consumption, besides basic functionalities of smart glass. On the other side, residential and commercial smart glass solutions incur heavy initial expenditure that includes procurement as well as installation expenses. High procurement and maintenance expenses will remain long-standing challenges associated with the revenue growth of residential and commercial smart glass market. Moreover, though most residential and commercial smart glass solutions are dirt-proof and demand occasional cleaning, regular maintenance is required to keep these integrated technologies bug-proof, which further demands expensive regular maintenance. This is projected to have a restraining impact on the overall adoption rate of residential and commercial smart glass solutions. 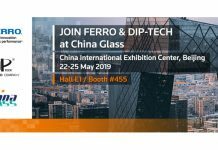 As far as the residential and commercial smart glass market is observed for indoor conference rooms, office privacy protection, shower room and product projection application, switchable PDLC (Polymer dispersed liquid crystals) residential and commercial smart glass are used the most. By region, North America is anticipated to dominate the global residential and commercial smart glass market over the forecast period. North America residential and commercial smart glass market, is expected to be followed by Europe residential and commercial smart glass due to the high percentage of luxury homes and other commercial building in the region. In terms of growth rate SEA and others of APAC have the highest CAGR in the residential and commercial smart glass market, followed by China and Latin America residential and commercial smart glass market, which also have a good growth rate compared to the other regions in the market. The market for the residential and commercial smart glass market is segmented on the basis of end-user, technology type and regions. The end–user segment in the residential and commercial smart glass market is further divided into residential and commercial segments. The residential segment is then further divided into smart windows & doors, smart glass partitions, smart shower glass and smart glass walls. The commercial sector is further segmented into commercial buildings, architectural use, automobiles, aircraft, marine, consumer electronics and others. As per the technology type segment the residential and commercial smart glass market is segmented into Electrochromic, Thermochromic, Photochromic, Suspended Particle Device and Liquid Crystal. The residential and commercial smart glass market is also divided as per building type in the residential segment.